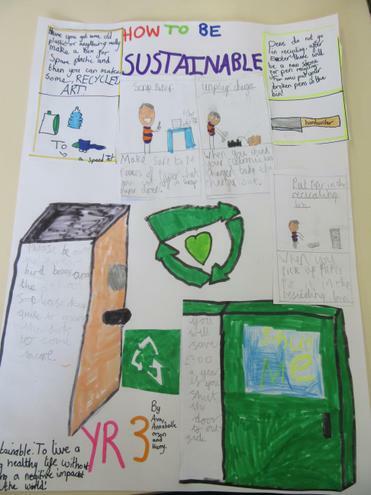 As we come to the end of our Sustainability unit, Year 4 have been sneakily checking out each class around the school to see how they are getting on. Although there are lots of brilliant steps, there is always more that could be done. 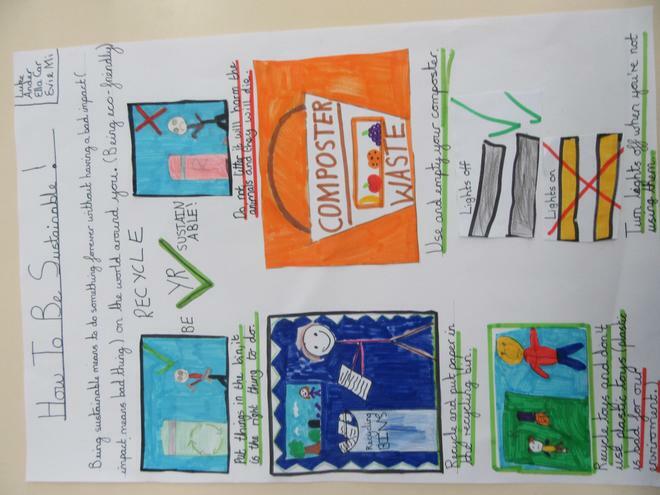 The class have produced posters to help each year group. 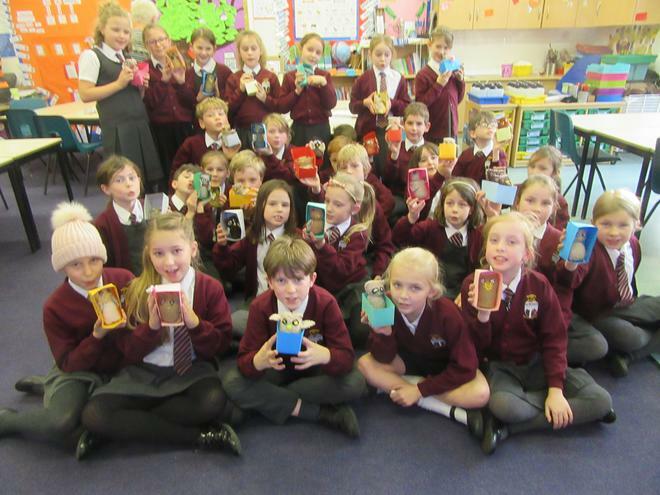 Over the past three weeks, we have been studying the wonderful picture book, 'Window' by Jeanie Baker. This book follows the story of a boy from birth to 22. 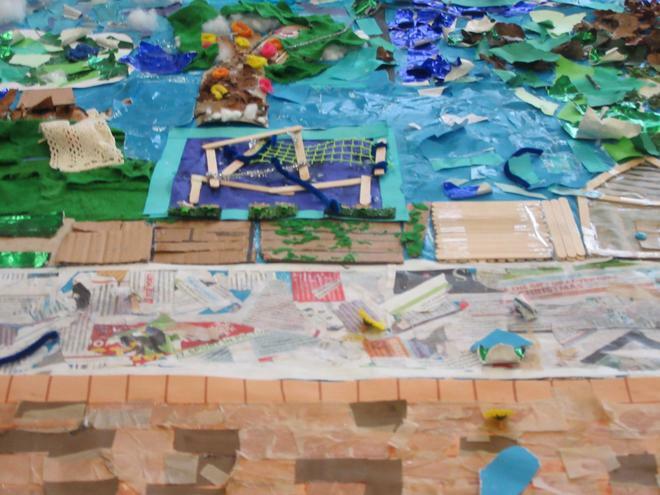 It offers many opportunities for discussion and debates about deforestation and Sustainability. 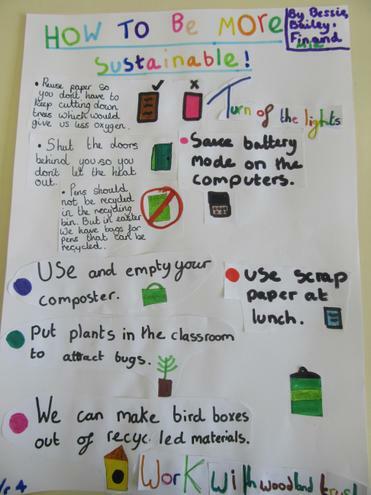 This has resulted in Year 4 writing home to their families asking them to help our planet by being Sustainable. 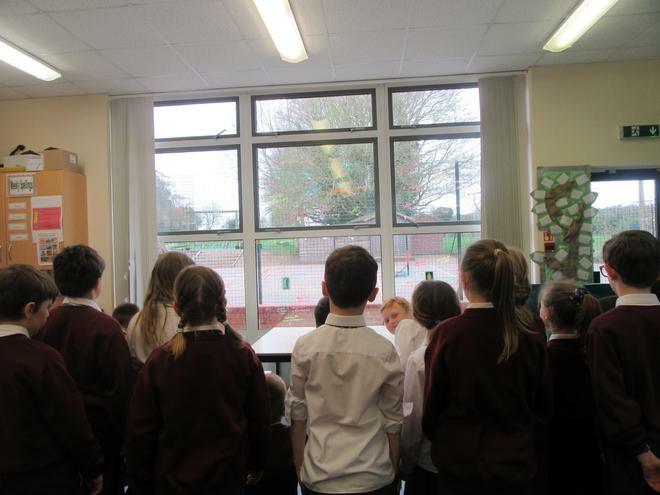 We have then looked at the view from our window in Class 4. 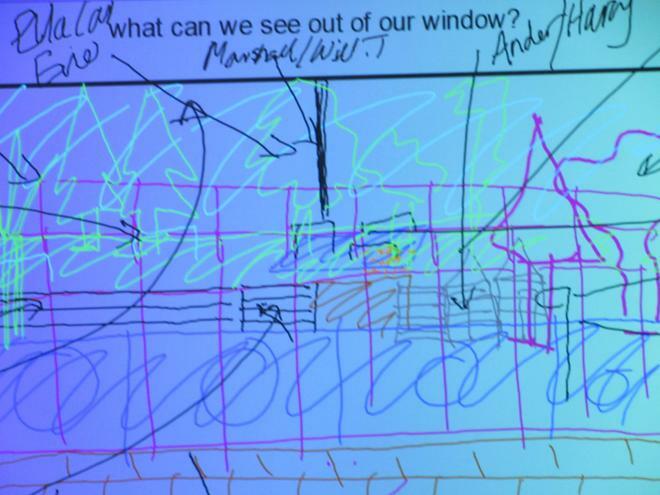 Thinking about what we could see and what the view would like in the future. 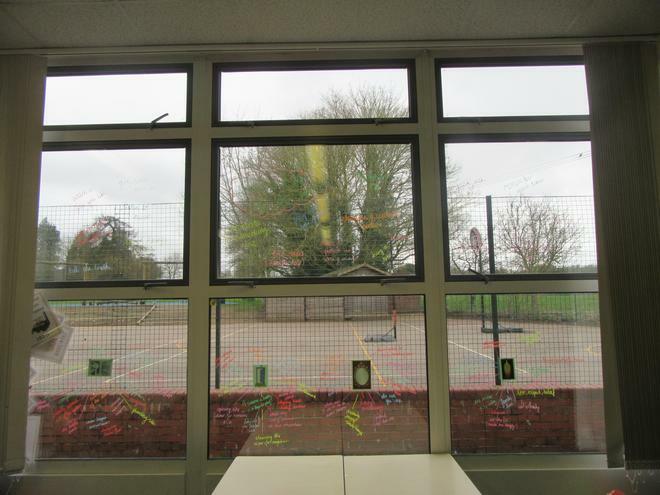 The class have then planned and created a wonderful whole class collage of this view. 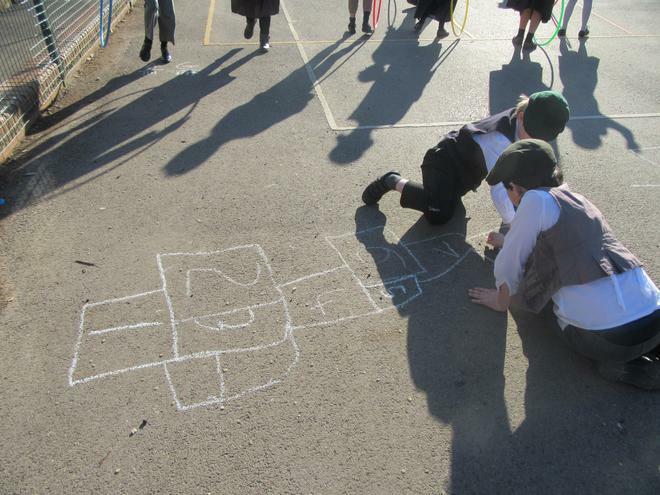 This was a wonderful piece of teamwork, with every single member of the class working collaboratively. 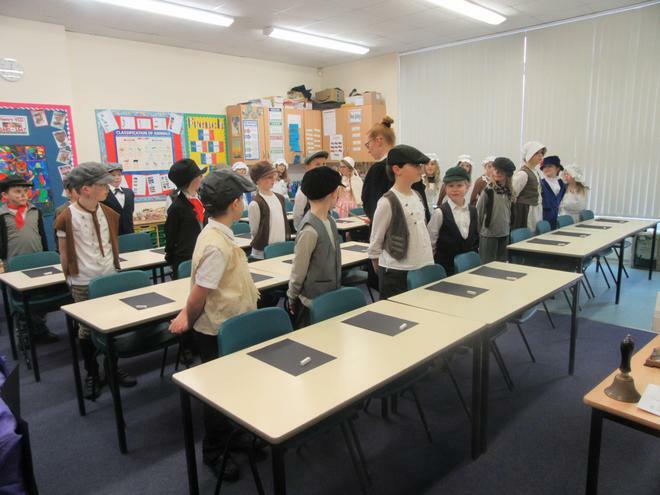 As we come to the end of our Riotous Royalty topic this half term, Year 4 found themselves thrust into a day at Victorian School! 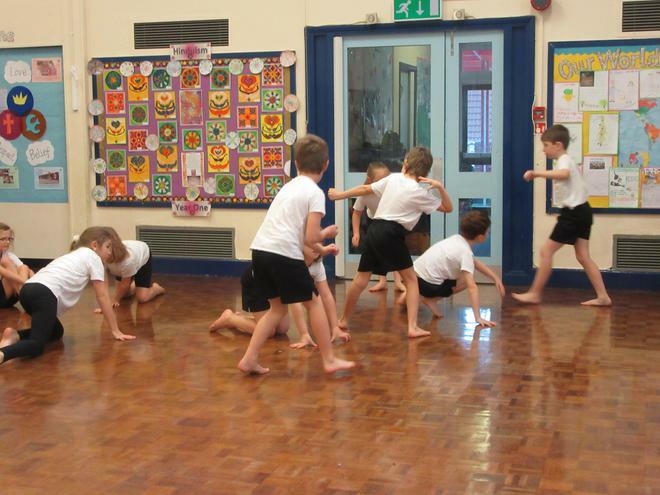 The children found themselves waiting in the corridor for hand inspection before entering the classroom, followed by a complex set of classroom rules...including standing up and curtseying/bowing every time an adult entered the room! 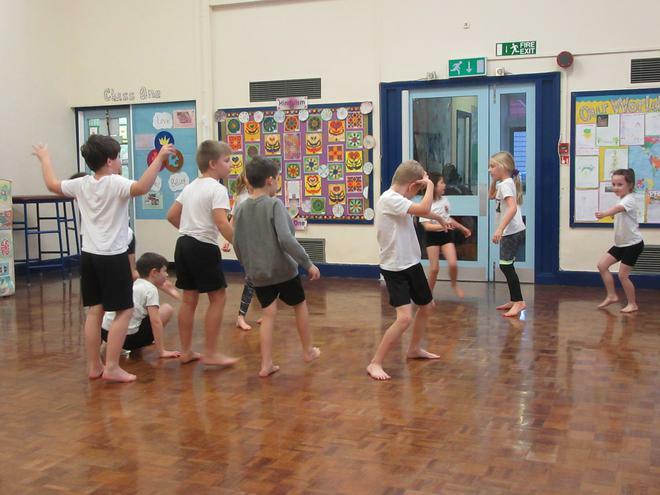 The afternoon was slightly more enjoyable, as we learnt how to throw a hoop, leap into hopscotch and 'chuck' the beanbag in a very competitive fashion! 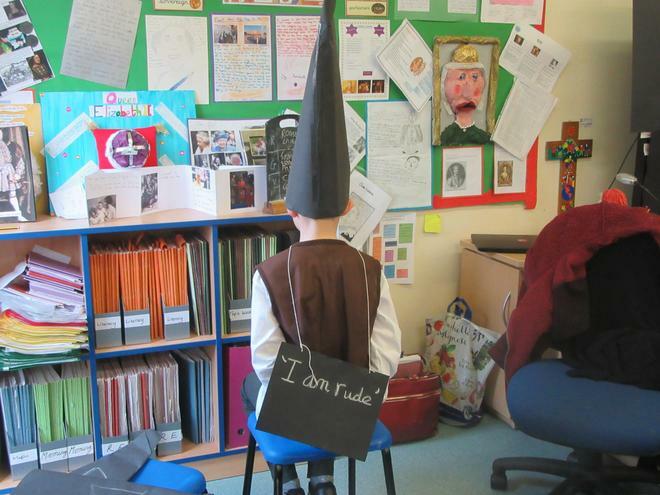 At the end of the day it was decided that we slightly preferred life in 2019 school...without a cane and a dunce's hat! Dance through the decades - choreographing our own jive routines, Strictly here we come! 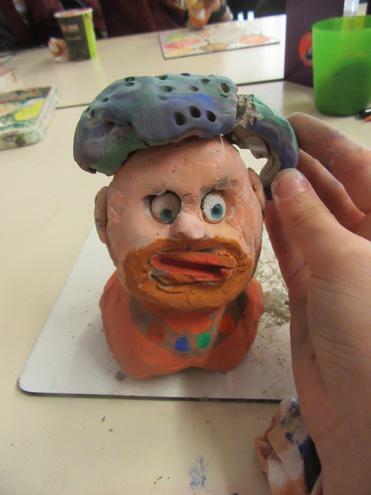 Clay Henry the Eighth - day1! Year 4 had a fabulous day out today at the Great Hall in Winchester. They had the opportunity to investigate whether they thought King Arthur really existed and how he may have reacted to the Anglo-Saxons. The use of a number line! 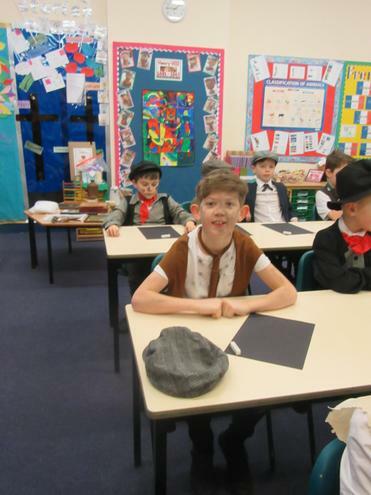 Year 4 have started their year with fantastic enthusiasm and excitement to learn. 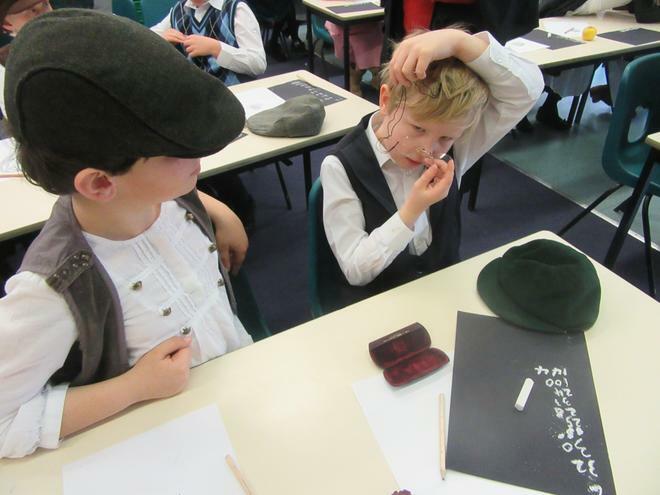 They are getting ready for their first school trip of the year to Winchester Great Hall next week, to discover if they think Arthur really existed! On top of that they are really enjoying creating their own dragons and writing instructions to teach them to fly, sit or fight by their sides in battle, amongst other skills! This is no mean feat! They have also been using their fabulous maths skills to order and add 4 digit numbers. 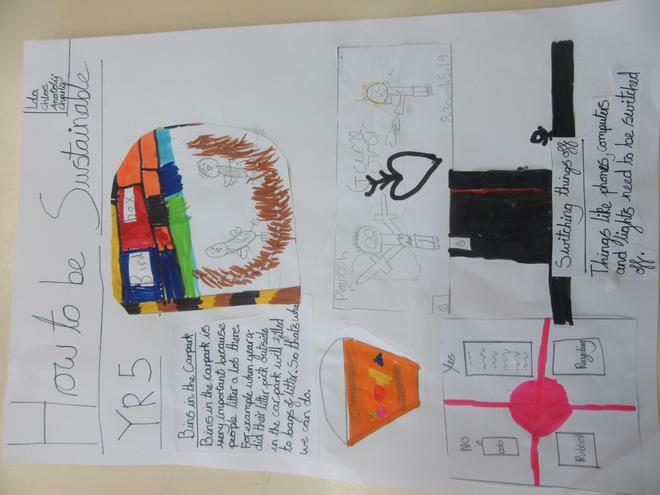 A great start year 4 well done. 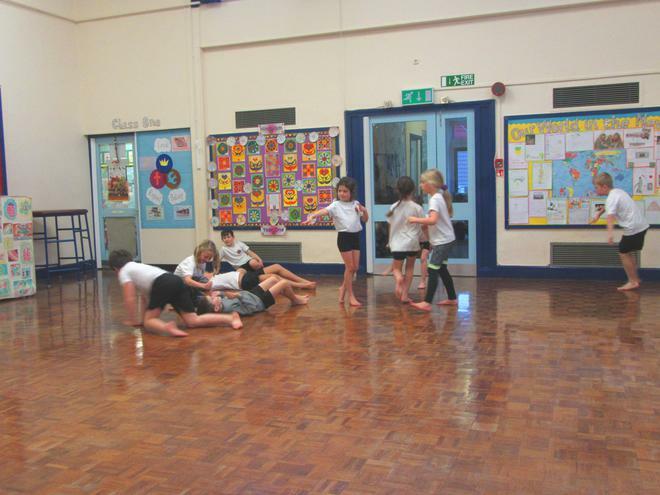 Last term the children choreographed a dance based on the life of the Vikings. They took exciting music for a stimulus and worked together as a team to produce a story that told the story of a long-ship being built, sailing across from Denmark to the United Kingdom and facing fierce opposition when they arrived. 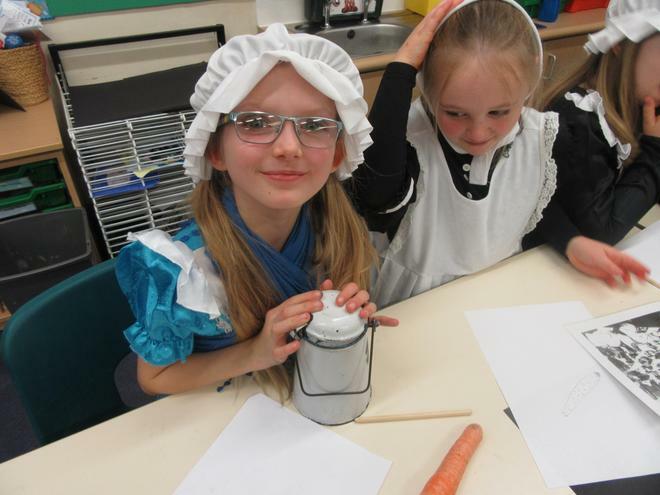 They did brilliantly! 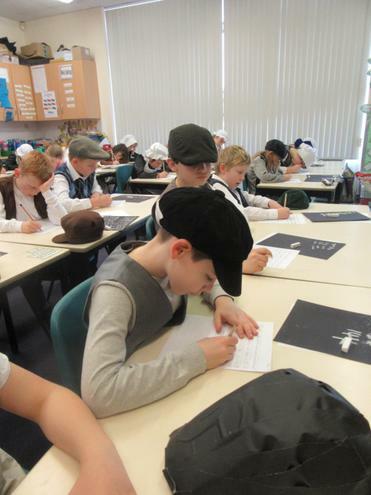 Year 4 have been studying Invaders and Settlers. 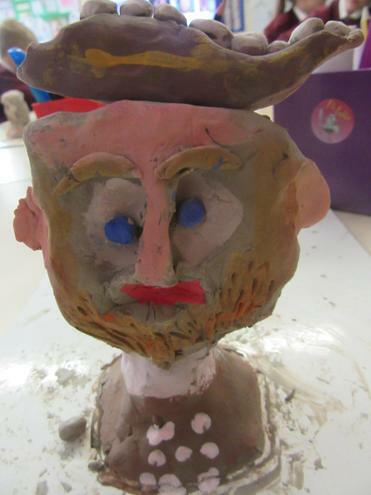 They have focussed on Anglo-Saxons and the Vikings. Today they travelled to Lindisfarne to meet a monk who had been in the monastry when it was so brutally invaded. 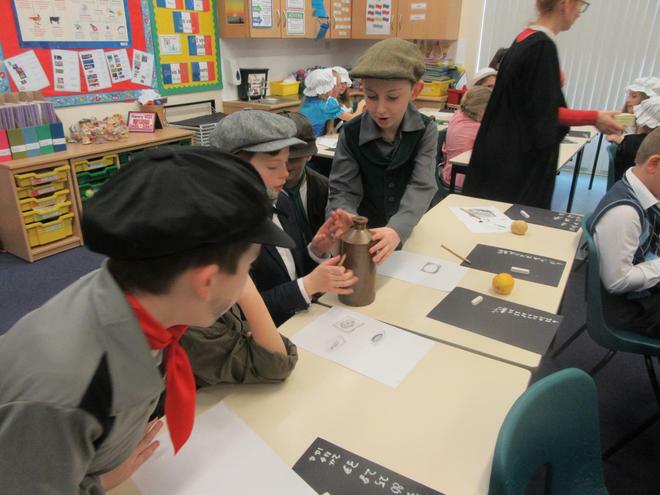 They wrote some fantastically inquisitve questions and showed that they had the skills to make fantastic reporters. 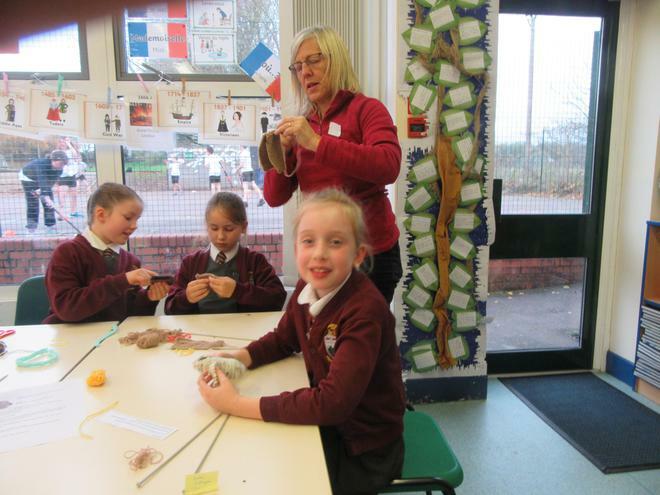 Year 4 have been really lucky to have the help of the lovely ladies and gentlemen from the church. 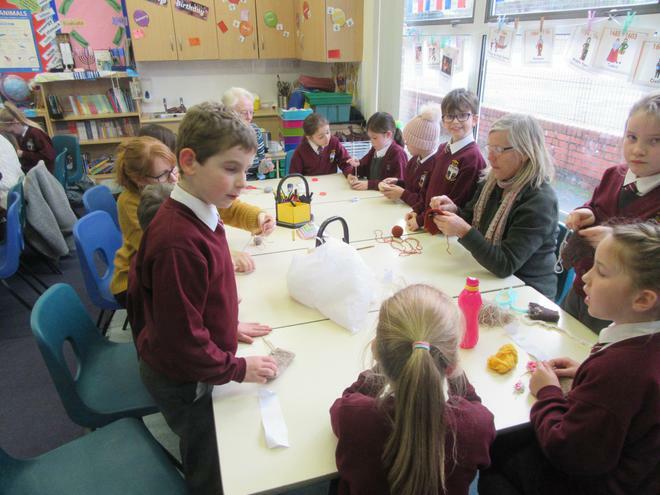 Over the last three weeks they have come into our class and introduced us to the wonderful world of knitting. 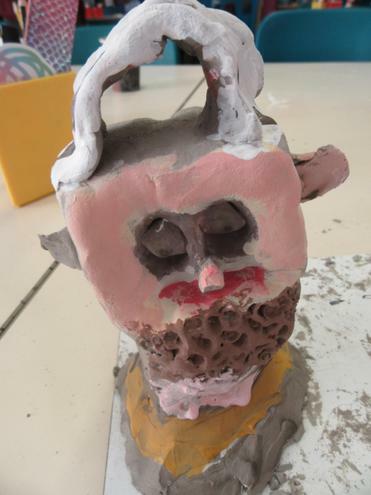 The children have produced some wonderful owls, and if you pop into the local church over Christmas you will see them all on display. Twit twoo! Boys on one side - girls on the other! Enthralled by the Victorian cross stitch. 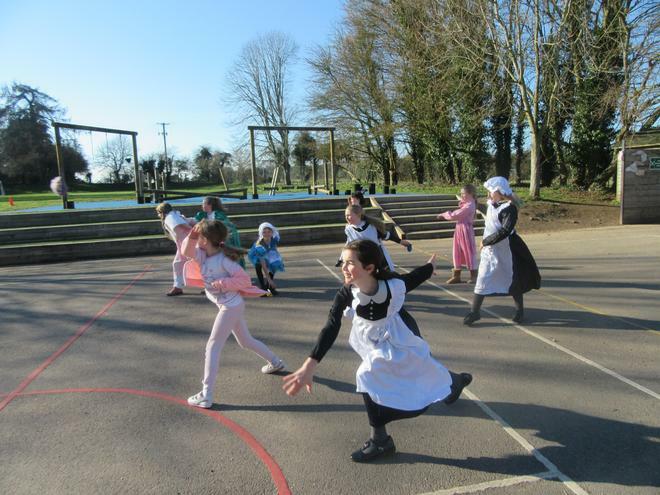 A spot of Victorian country dancing! 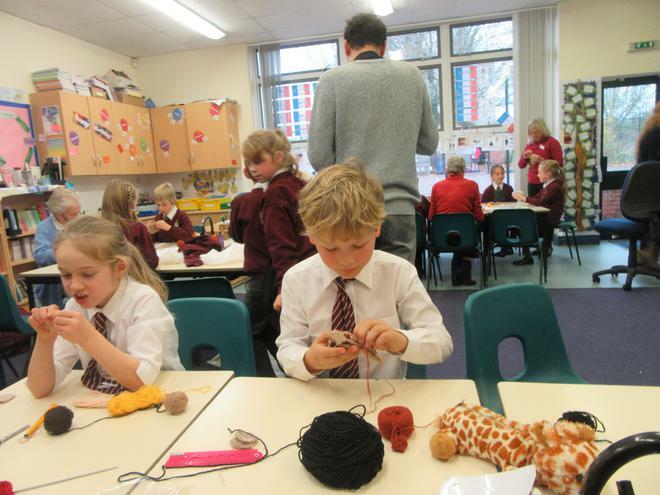 The Spring term has been really exciting in Year 4. 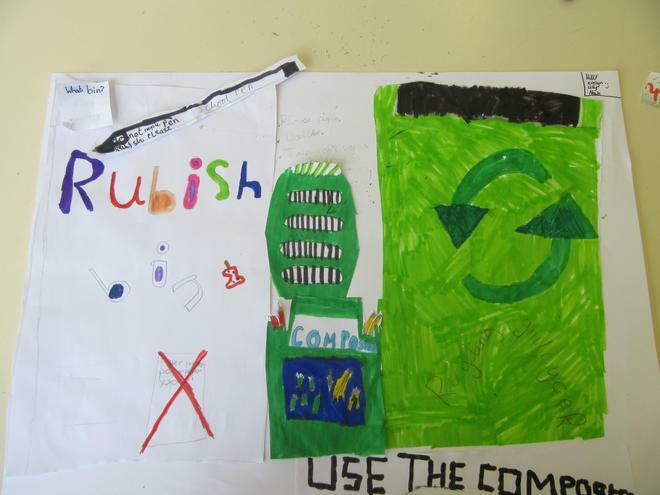 Our Topic has been split by the half terms. 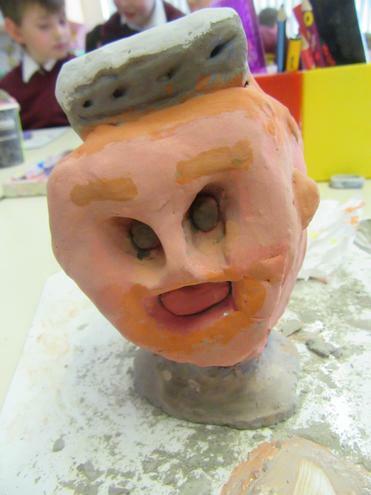 In our first half term we studied Riotous Royalty. 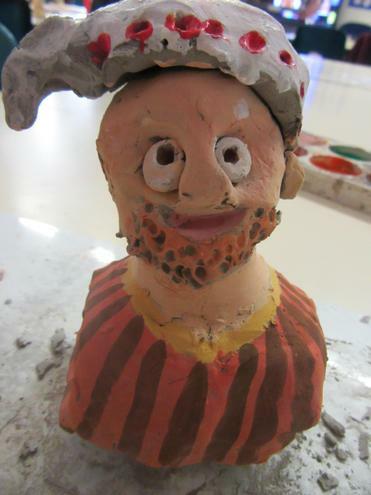 This meant that we were able to look at the Kings and Queens of England in a speedy dash from 1066 to the modern day. 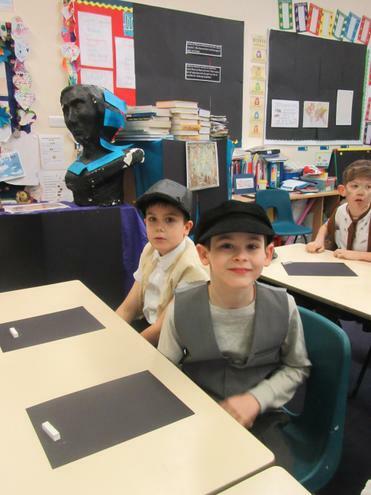 We enjoyed a Victorian day with students and teachers alike dressing up. 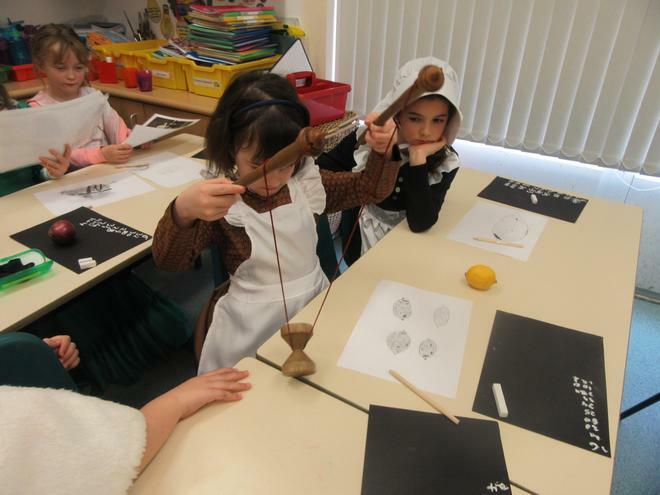 We followed a traditional day, making sure that all pupils behaved, otherwise there was the risk of the cane! 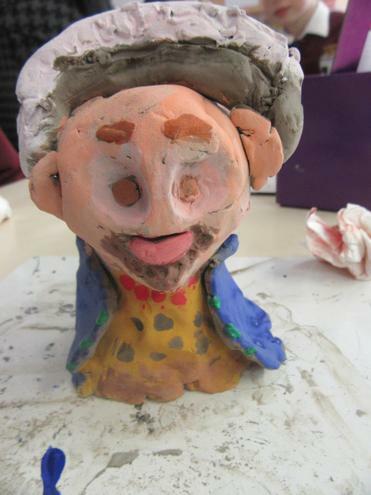 Year 4 pupils created some wonderful clay portraits of Queen Victoria which are now pride of place in the key stage 2 corridor. 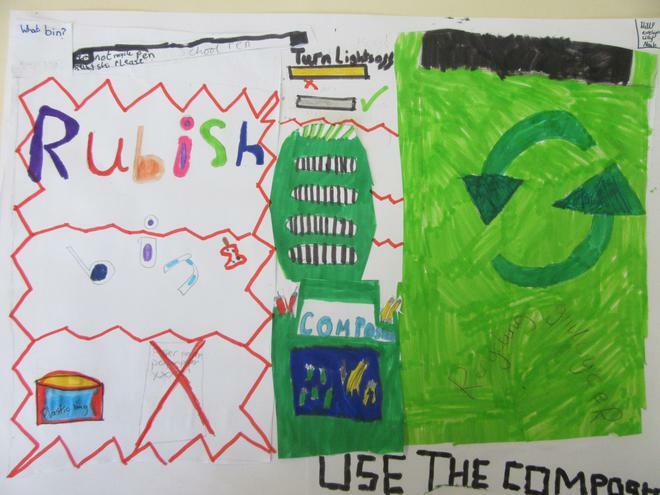 Our second half term has been dedicated to Sustainability. We have enjoyed a visit to Bursledon Windmill as well as the Sustainability centre . 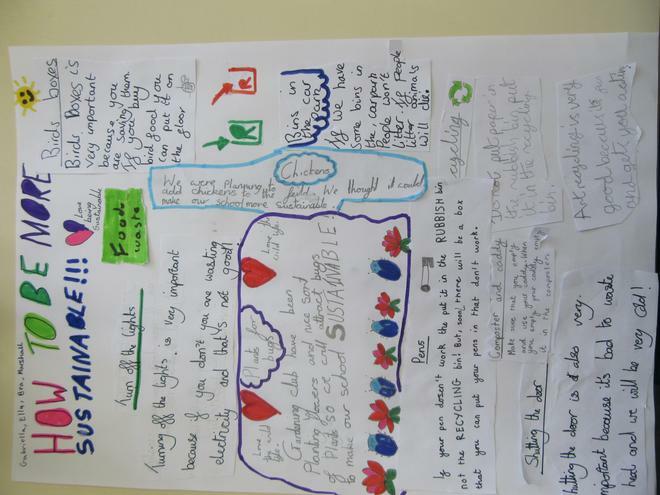 The children have learnt about all of the many ways that they can be Sustainable including the use of Solar, wind and wave turbines. We have enjoyed looking at how the landscape and population in Nepal differs from our own. 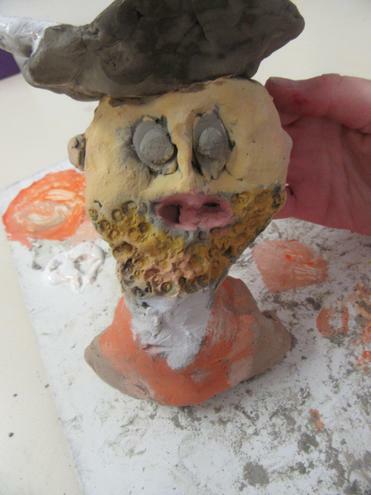 In Art the children are designing and creating sculptures based around the works of Michelle Reader. Impressed with the amazing Bursledon Windmill. 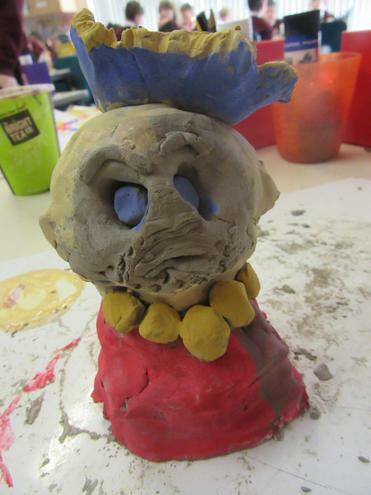 Creating a wonderful clay oven. Proud of our Sand arch! Enjoying a day investigating wind power. 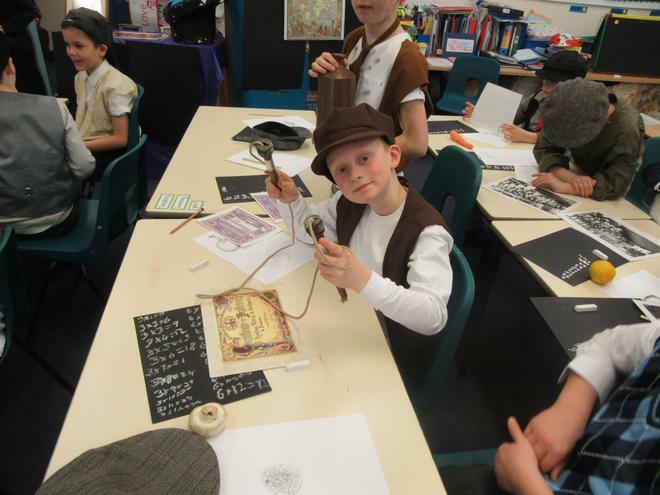 Year 4 is a fantastic year to be in, where we learn many interesting things and go on some exciting trips. 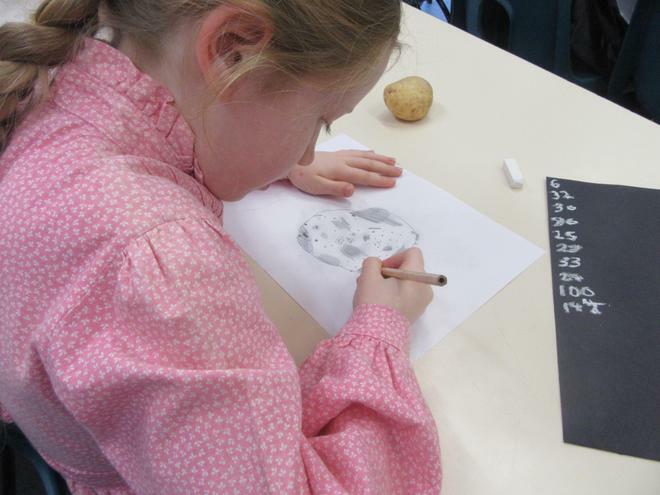 It is an important school year, the last before the children make the transition to Upper Key Stage 2, where greater responsibility for their own learning is expected. With this in mind, we encourage the children to take more independence in their learning as we go through the year. 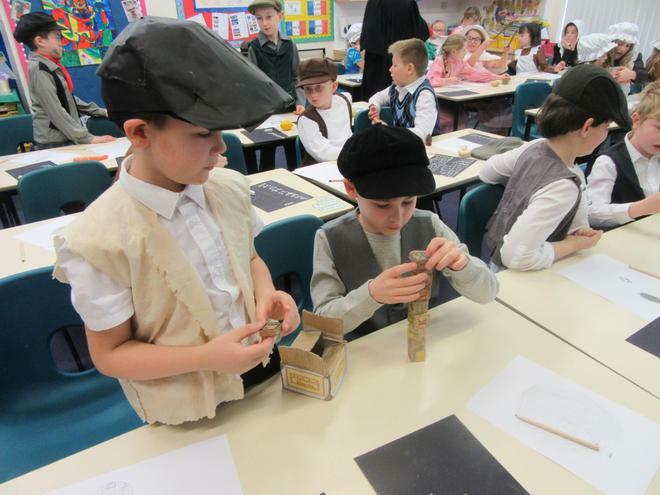 Throughout the year the children embed and broaden their literacy and mathematical knowledge and skills, where we build on previous years’ learning and develop new concepts. 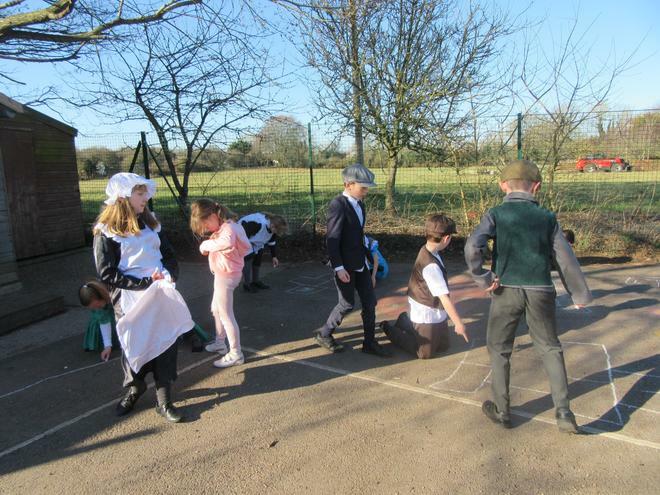 In Year 4 we enjoy problem solving and practical investigations to help us with our mathematics learning and we use drama and creativity to help us make our writing interesting and exciting. 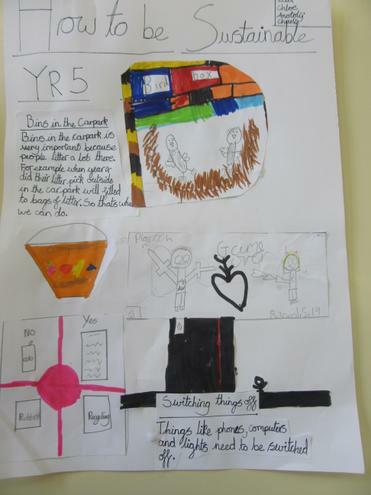 We also develop our understanding of spelling, punctuation and grammar as we move through to higher levels of writing. 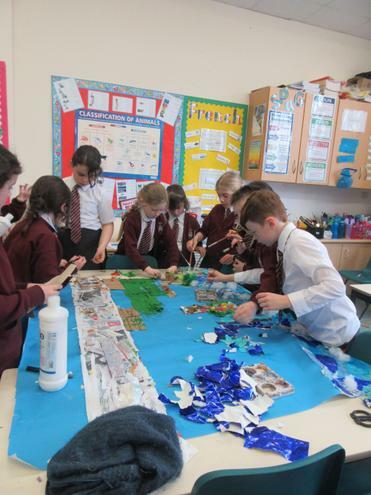 In Year 4 the children extend their knowledge and understanding of their local geographic area, specifically looking at the rivers' eco-system and how it impacts the local community. We compare and contrast a different locality with our locality. We specifically focus in on Southampton during this topic, but look at other industrial cities to complement the study. 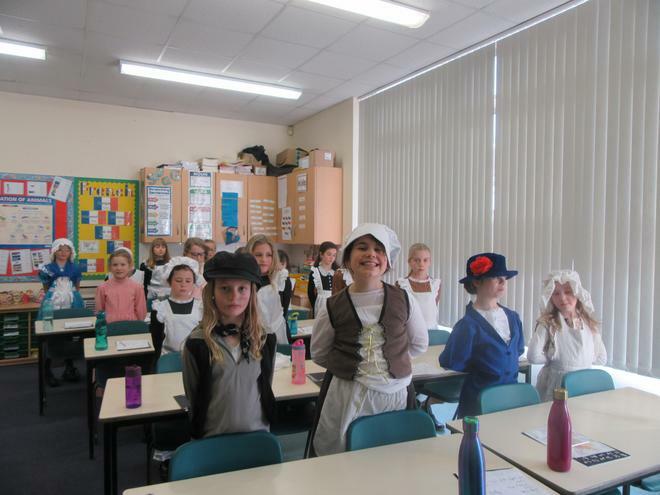 Historical study is also important in Year 4 where we examine many periods of British history. 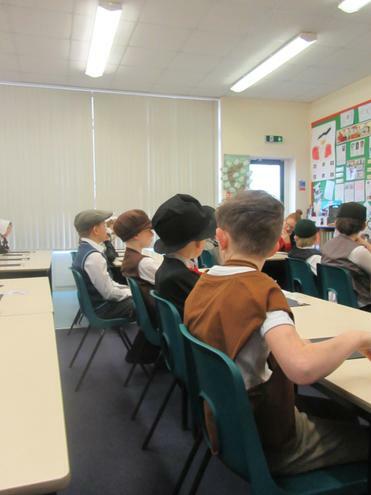 Our ‘Invaders and Settlers’ topic gives the children the opportunity to relate present events with those in History. 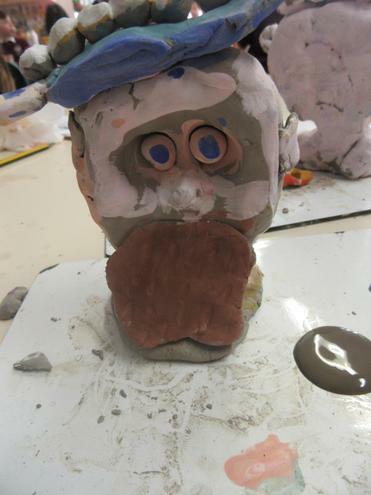 We study the Anglo-Saxon period and the topic culminates in a half-term of full Viking immersion. 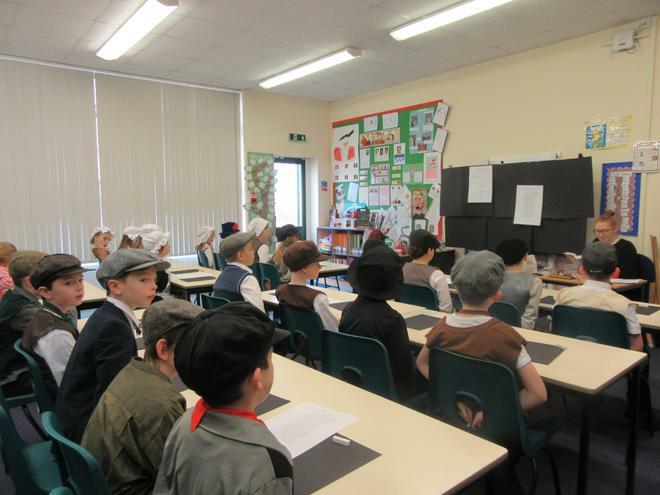 This gives the children the opportunity to research specific areas of this period including religion, way of life and travel. 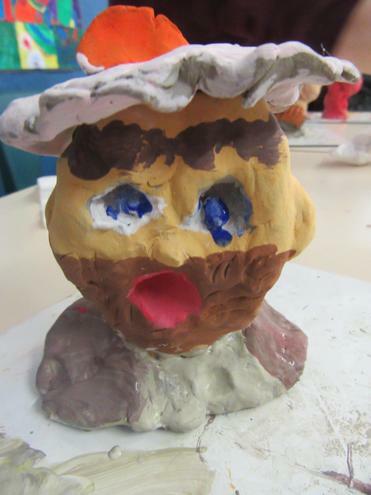 The children take on the role of roaming reporters to discover vicious Viking facts! 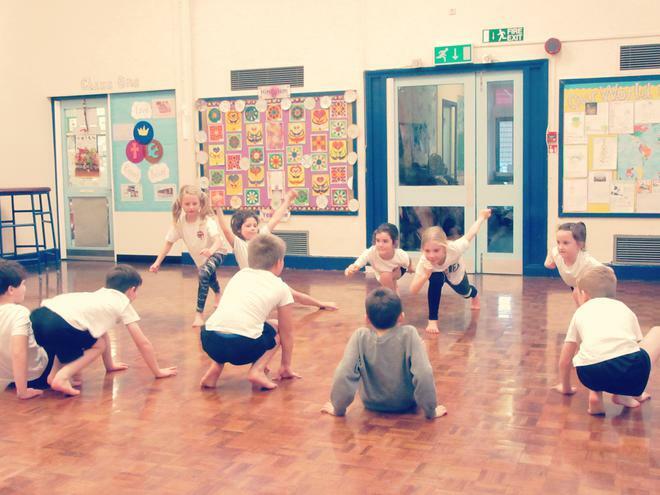 The children have the opportunity to enjoy a variety of drama activities along with extremely exciting creative writing. 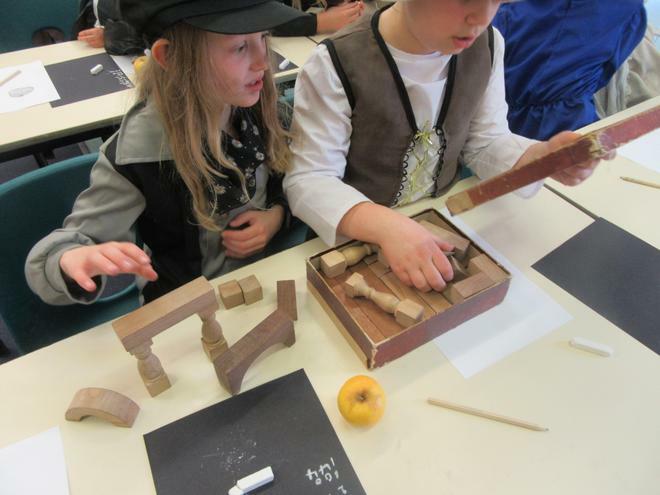 All three topics form the basis of much of the learning that takes place in Year 4 as cross-curricular links are made where possible, including the construction of Viking Long ships! 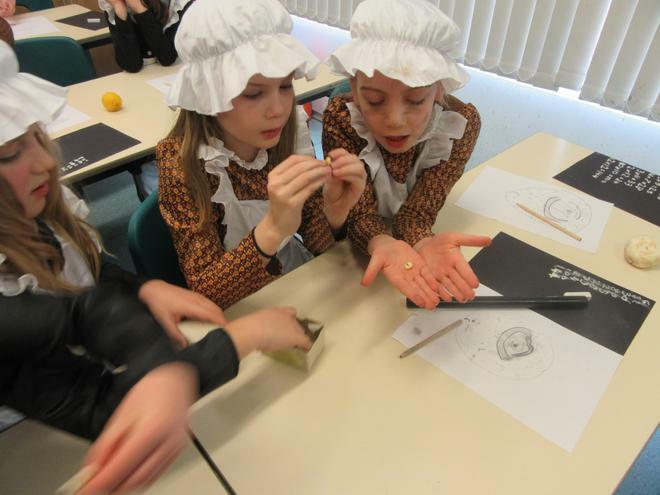 While in Year 4 children are given the opportunity to embed their learning by class trips and topic days. 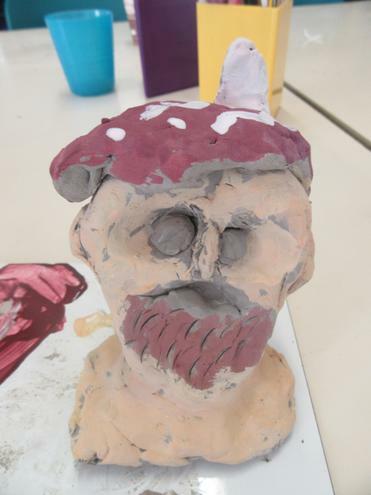 To raid the school in a full Viking workshop! 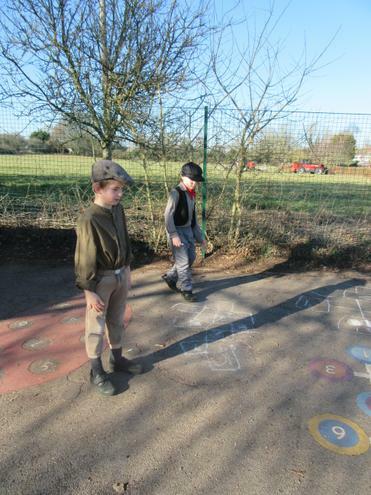 and, of course, the exciting activities day at Charlton Lakes. The children will also have constant access to the outdoors and the exploration of their local community.